Jordan Strauss / StringerA bit irritated. After Tesla reported earnings on Wednesday, beating Wall Street expectations with a modest $US0.02 profit, CEO Elon Musk took questions from analysts. Musk tried to further clarify a point that he made on Tesla’s second quarter earnings call, when he insisted that Tesla doesn’t have a demand problem. Musk’s point was that if Tesla engaged in conventional advertising strategies — the company currently does almost no advertising — it could increase demand, but its more pressing issue now is being able to simply built its cars, and build them well. Musk is also ticked off that the battery industry doesn’t hold itself to a high standard of truthfulness (Tesla is preparing to construct a massive $US5-billion battery factory in Nevada). Musk is usually very forthcoming about Tesla’s business on earnings calls, and Wednesday’s call was no exception, but throughout he seemed annoyed and at times confrontational that the market and the media have fixated on speculation that Tesla is running out of customers. Again and again, he insisted that Tesla could stoke demand if it wanted to — but isn’t. His testiness clearly stemmed from the same group of analysts he told this to last quarter revisiting the issue again. 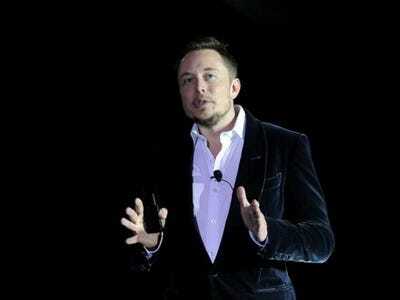 He also anticipated production growth rates of 50% from 2014 to 2015 and admitted that Tesla could “do better” on being less perfectionistic with future cars.